In a matter of minutes, NASA will launch a rocket directly toward the Earth's atmosphere in an effort to study early stars and galaxies, and how brightly their nuclear fuel burned. Equipped with a Cosmic Infrared Background ExpeRiment (CIBER), the Black Brant XII suborbital rocket will race the very wind before splashing down some 400 miles into Atlantic Ocean. 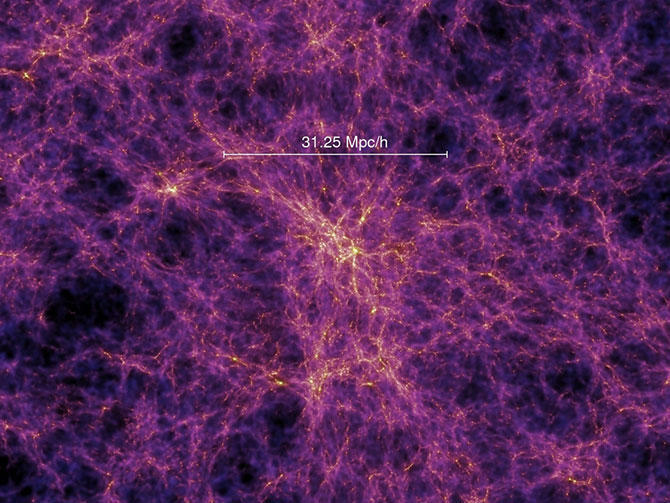 The goal is for researchers to better understand how the early universe formed. "The objectives of the experiment are of fundamental importance for astrophysics: to probe the process of first galaxy formation," said Jamie Bock, CIBER principal investigator. "The measurement is extremely difficult technically." This will be CIBER's fourth mission overall, but its last since NASA won't recover it or the 70-foot-tall sound rocket used to propel the infrared equipment toward the stars. The rocket itself doesn't have landing capabilities, and safely ejecting the instruments onboard would be too difficult because of the altitude CIBER will launch (up to 350 miles). The mission isn't quite as spectacular as launching a rover onto Mars, or even shuttling folks to the ISS. But it'll provide researchers with important insight into how that vast expanse above our heads was formed. And, who knows, maybe get us that much closer to figuring out if other inhabitable Earths are out there waiting for human occupants.